How much knit could a knitwit knit if a knitwit could knit..
Posted: Mon Apr 25, 2016 7:55 am Post subject: How much knit could a knitwit knit if a knitwit could knit..
New this week we have Knit Wit! 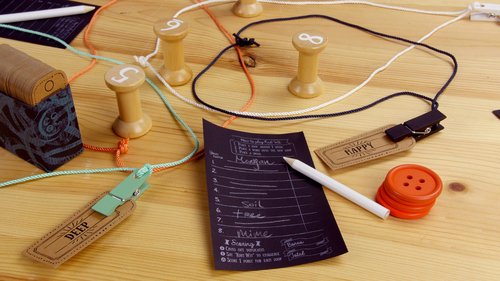 Knit Wit is a party game designed for 2-8 people. Players are given words and must create loops around spools for each word. Then it's party time! Players must think of unique words for each category created. It's similar to Scattergories but you end up creating totally new sections, think Venn Diagrams. Each game is about 15 minutes but they're challenging and a ton of fun! The materials are colorful and easy to use, which is great since this game relies on being able to quickly see the categories!